Are you are looking for a venue to expand your business in consulting rooms that offer a quiet location in the centre of St Albans with on-site parking? 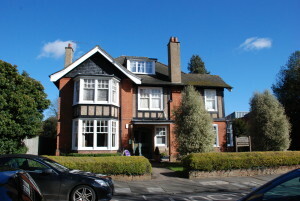 The Elms is a well-established private medical consulting centre. We have 5 rooms available for clinical and non-clinical consultations, all on the ground floor with disabled access. Evening and weekend bookings are available thereby giving practitioners the flexibility to see clients at mutually convenient times. We offer flexible renting options whether occasional use or regular bookings. For more information please contact the Reception Team by phone or email and we will be happy to discuss your needs.